Facebook's privacy settings, which change often, can be confusing and overwhelming for users, but the company is committed to changing that. The social announced to reporters Tuesday that there will be clearer calls to action so that users can better understand with whom they're sharing content. Facebook’s privacy settings, which change often, can be confusing and overwhelming for users, but the company is committed to changing that. The social announced to reporters Tuesday that there will be clearer calls to action so that users can better understand with whom they’re sharing content. Every day, Facebook performs 80 trillion checks to ensure that users’ content is shown only to the audiences they intended. User input is also valued highly, as the social network runs 4,000 surveys per day in 27 languages, gauging opinion on privacy settings and changes. The biggest complaint Facebook gets about privacy? It’s too confusing. Sometimes, when people share things on Facebook, they feel that their information is shared with more people than they want. This is not a great experience when there’s an unpleasant surprise — when people share things thinking they’re going to be shared by one audience and they’re seen by someone they didn’t expect. We’re thinking about what are the kinds of product experiences that we can develop to help people with this. I think this is important to emphasize: When people have an unpleasant surprise like this, it’s bad for them and it’s bad for us. People feel less comfortable sharing over time. 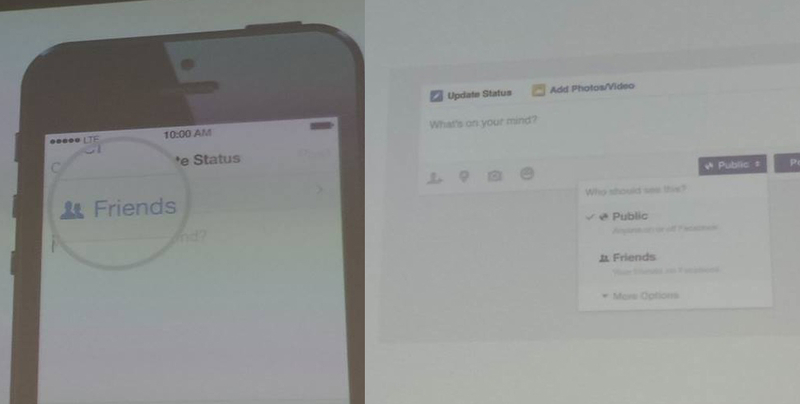 On its iOS application, Facebook will show the group (whether it’s friends, public or custom) users are sharing with directly above the status update prompt. 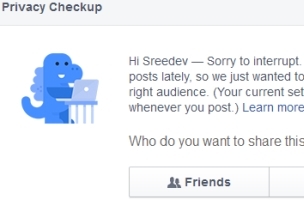 Additionally, Facebook is changing up the drop-down box on desktop, more clearly explaining what the privacy options of “public” and “friends” mean, as engineers found that many people who posted publicly were surprised when people they’re not connected with were able to see content. Facebook is doing what it can to make sure users know just who they’re sharing content with, in order to clear up a principal complaint. Facebook will also give users more control over the privacy of past cover photos. Although the social network considers users’ current profile photos, names, and cover photos to be public information, it realizes that past cover photos don’t always represent the public face that users want to show. 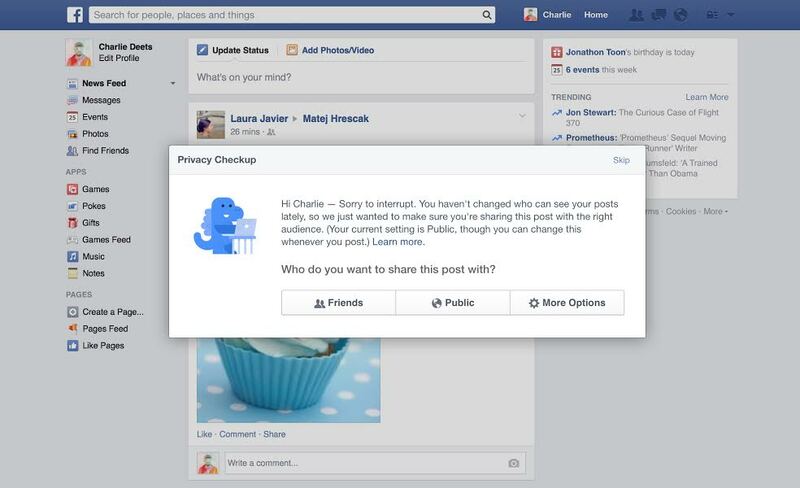 Readers: What did you think of Facebook’s simplification of its privacy settings?